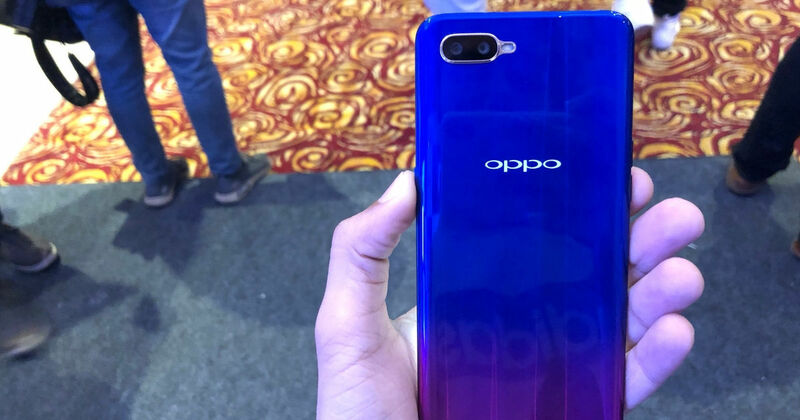 OPPO’s latest smartphone the OPPO K1 (first impression) will go on sale in India starting today. Potential buyers can grab the handset from e-commerce site Flipkart 12pm onwards. OPPO K1 comes with a sticker price of Rs 16,990 and two colour options: Piano Black and Astral Blue. As for the launch offers, the OPPO K1 is available with a flat 90 percent buyback value for a period of up to eight months. Further, customers can avail an additional bank discount of Rs 1,690 with Citi Bank credit and debit cards. The OPPO K1 was announced last week as the most-affordable smartphone in India with an in-display fingerprint sensor. The handset packs a 6.4-inch Super AMOLED display with full-HD+ resolution and a screen-to-body ratio of 91 percent. The edge-to-edge screen has a tiny cut-out up top that OPPO likes to call waterdrop notch and is protected by Corning Gorilla Glass 5. The phone is driven by a respectable Snapdragon 660 mobile platform paired with Adreno 512 GPU and 4GB of RAM. It has got 64GB of internal storage which is further expanded via microSD card. In the camera department, the OPPO K1 flaunts dual rear cameras. The setup comprises 16-megapixel primary shooter and 2-megapixel secondary depth sensor with an LED flash. For selfies, it employs an impressive 25-megapixel shooter on the front. The cameras are backed by AI to further enhance the images. Software-wise, the OPPO K1 comes running Android 8.1 Oreo-based ColorOS 5.2 out of the box. The handset is fuelled by a 3,600mAh battery, and in terms of connectivity, offers dual-SIM slots, Wi-Fi, Bluetooth 5.0, and A-GPS.